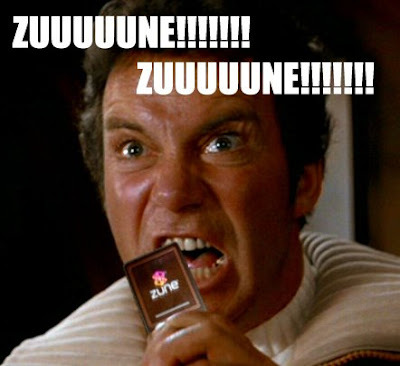 Today was a sad day for hundreds of Zune users. I wish that they could understand that every day is a sad day for zune users, but I think it took an event like this one to show the true inferiority of the Zune. Apparently this morning everyone who owns a 30 GB HDD zune woke up to see their lovely little piece of metal (or plastic?) was not working. Funny story actually, at around 2 am all of them just stopped working. They are calling it Z2k9. That is funny too. Anyway, let that be a warning to all of you microsoft users. Yah yah I own a Zune and I own it for two reasons. 1. When I purchased the Zune ipod touches were just out and cost like half a millon dollars. They had Nanos which are a complete easte of money the screen is so tiny it may as well not have one and it is also so small that it gets lost easier hince Nicks 2nd ipod when I lost his first. 2. You are the same as everyone else in the entire universe how does it feal to be a sheep.